Bond and Kelly’s wedding on 25 December 2013 [Christmas] was my first time assisting Raymond on an actual day wedding shoot. 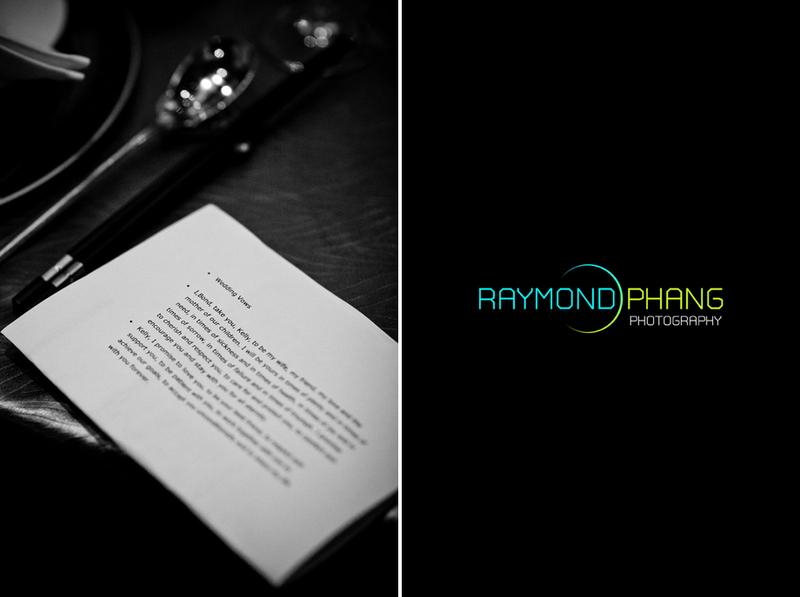 So far the shoots I followed Raymond were for pre-wedding, casual shoots, food shoots, corporate profile shoots, product shoots etc but not for actual day. The only other time was for John and Ei-leen’s dinner banquet back in 2008, but I was sitting outside the ballroom, just waiting for Raymond to be done so that doesn’t count as one. The opportunity to assist Raymond on an actual day wedding made me realize and understand a whole lot more on how he work. It’s nothing like the other shoots we have been to. Not even pre-wedding. Actual day wedding is so much more stressful! Everything is about being on time and meeting the auspicious timing, making sure everyone turns up accordingly, things happened as planned, and at the back of the couple’s mind they have to keep worrying about whether did so and so remember to bring along the overnight bags or shoes or the pouch or medicine and stuffs. All these doesn’t concern Raymond and doesn’t affect his job, but I feel that the energy does affect us somehow because besides focusing on getting the moments, there’s this nagging feeling inside us that shares the couples’ concern too. We woke up in the morning and reached Kelly’s place earlier than 4.30am which was the stipulated time just because we don’t like to be late for shoots. The morning air was crisp and cooling, so I felt rather hopeful since the start of the day. I thought it was gonna be a fun day, should be fairly simple and easy, day should pass by pretty quick. Upon reaching the carpark of Kelly’s place, Raymond switched to no nonsense mode and started to shoot the exterior of the building. In a very stern voice, he asked me to look out for suitable and interesting place to shoot the wedding gown, and when we’re up at Kelly’s place, I’ll need to look for places to shoot the wedding shoes, wedding rings and stuffs. STRESS!!!! His words came like lightning and thunder, and my brain like an old CPU without the UPS backup power supply decided to power off itself and went dead. Dead with some fire sparks and smoke sizzling out. Not smiling here, but here’s Kelly having her make up done. A photo of Grandma who was really happy. After the mingling, I had to look for place to shoot the gown – checked. Was quite a challenge which required the use of a plastic stool, climbing here and there, and the use of a long bamboo pole. 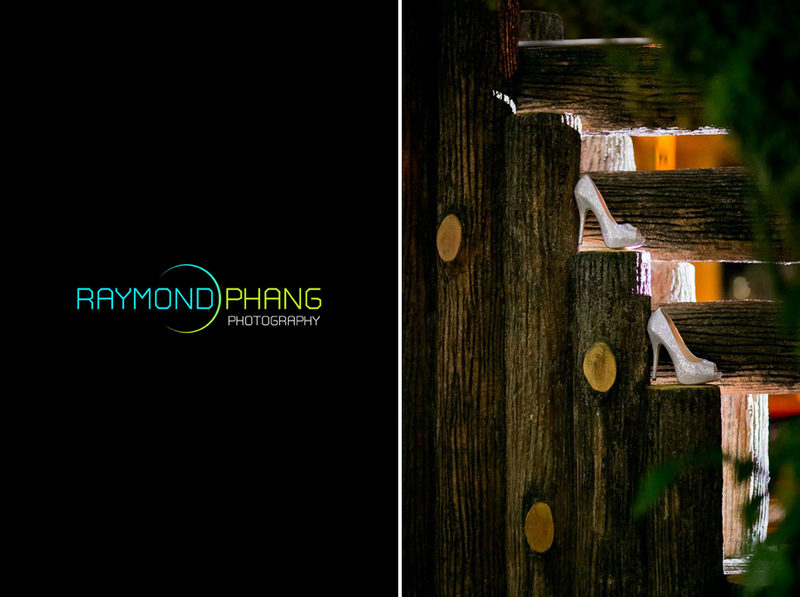 Love the contrast of the warm earthy wood texture against the cold starky wedding heels. While Raymond was shooting the hair and make-up portion, I took the opportunity to have a casual chat with Kelly’s mum and grandmum. Although they didn’t explicitly expressed their happiness that their only daughter was getting married, I could see it in their eyes and hear it in their voice. Beneath the happiness and relief that their duty as a parent is finally fulfilled, I could sense a tinge of reluctance. Afterall the thought of their children leaving them to start a family of their own can really get to one’s emotion. Bond singing. He sang even better than Andy Lau! Got the bride finally, took some photos and had to hurry off to Bond’s place. Sky was still dark, so when Raymond did the car shot, we can still spot a little bit of the blue skies. I have seen videos of how Raymond does his signature shot of the bridal car in motion, but that was the first time I got to see it Live. I get what couples mean when they say their hearts were dropping upon seeing how Raymond took the shot. I feel what they feel, but knowing Raymond as someone who is determined to grab the perfect shot for his couples despite the danger, I knew I had to stay alert and be that extra pair of eyes to spot any possible collision or incoming vehicles etc. Raymond Phang Photography signature shot of bridal car in motion! Thankfully there was no accident and no wrong turns, we reached Bond’s place in one piece. Schedule was a little bit more relaxed, did some mini photoshoot for them around Bond’s place before going back to Kelly’s. Shot around the mini park below Bond’s house. For those who want a closer look at how Bond looks like, here you go. Waiting for the rest of the bridesmaids to gather, waiting for transport and all. Kelly’s place was filled with relatives by the time we arrived. Everyone was so excited and happy! I can’t say much about their family, but the way they interact and care for each other gives me the impression that they’re quite a closely knitted family. Very lovely little girl who’s really photogenic and definitely not camera shy. Very hard to catch the folks smiling, but glad we did. A shot of Kelly because Raymond loves the window grille and the light coming in. Rushed off to the Four Seasons Hotel right after and Kelly had to do her hair+makeup again for her ROM/Solemnisation. Timing was really crucial cos they were behind time already. It’s understandable when the JP got a little frustrated with the delay as he had another wedding right after theirs and for those who didn’t know, JPs/Justice of Peace/Solemniser are doing this voluntarily. It’s not so nice to hold up their time. Furthermore it was Christmas. Getting ready in the hotel suite. Checking herself out in the mirror without realizing that Raymond was actually in the room shooting candids of the happenings outside. Love this very brief moment where Kelly was just holding on to Bond’s hands while having her hair and make up done. The almost got lost piece of paper with the wedding vow. Anyway everything went well except for a little hiccup where we all thought Bond almost lost the piece of paper with the wedding vows on it. 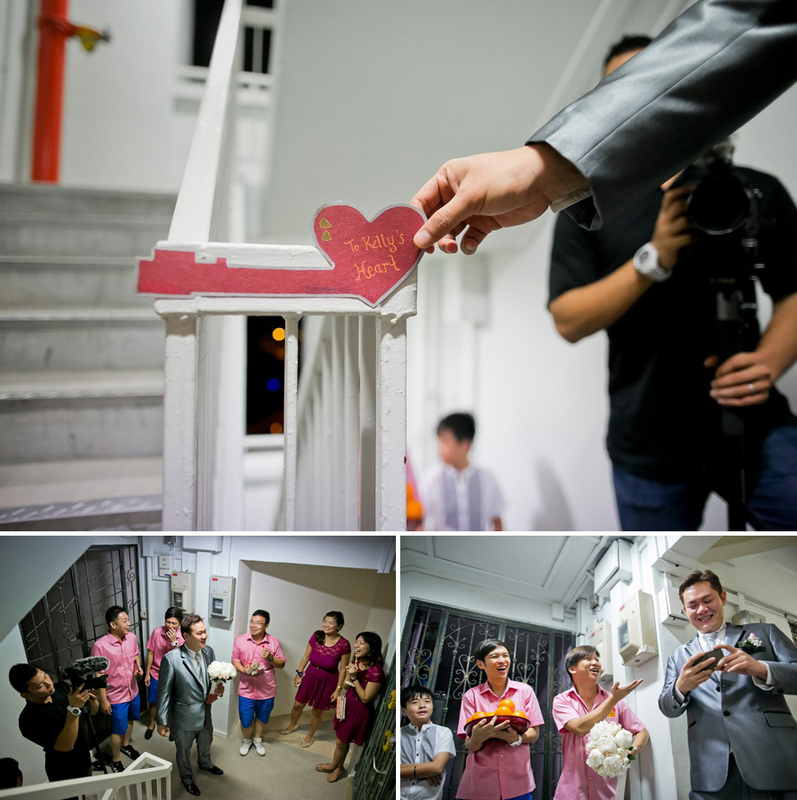 Reception was a little breather – Raymond just blended himself into the crowd, happily snapping candids whereas I had to be the extra pair of eyes to help him take note of interesting happenings. We communicated via the Walkie Talkie and sometimes guests who were standing around us thought we were talking to them cos we didn’t have to press any button before talking. Four Seasons Hotel Singapore ballroom. Christmas caroling at the lobby. Oh yeah that Peking duck sure looks yummy! No need to photoshop Googley eyes for them. Phew! Kelly and Bond did well so all was good, went on with the usual cake cutting, couple ate a bit, Raymond continued shooting, and it was time to move up for the second change. Again before the couple was about to do their second march in, I was waiting outside the ballroom with them. This time round, still nervous, but not as bad. Raymond roamed around for candid shots and it’s pretty hard to spot him around! Know why? Because he actually KNEELS and crouch when necessary just to hide around and capture all the candid moments. Because for one if you are standing when everyone else are sitting, they will spot you, they will be conscious of you. The photo taken when you stand up and kneel/squat down are different. When you kneel, the candids captured at that angle will make the couple view it as though they are just sitting at the same table with the guests and relive the jokes/funny expressions. Not many people will kneel down (some guys when they propose they don’t even kneel!) and humble himself just to grab shots. I feel that Raymond just has his ways of doing things which he feels is good for the couple. Call that stubbornness, or action many many, I think that’s just him being dedicated and passionate in what he do. That explains why we had to buy 2 or more of the same pants whenever we have time to go shopping. Cos his pants tear really easily from all the kneeling, crawling on floor, crawling on fences and all. I think of all the weddings I have attended, I have never seen anyone worked like him to get pictures. Sometimes I ask myself, why does he need to work so hard and go to that extend just to get the shot? I mean, couples being busy on their wedding day will never notice HOW he shoot, and when they finally see their wedding photos, they won’t even think about HOW he shot that. They’ll laugh, they’ll reminisce, they’ll wonder why did they give that expression, what were their friends doing in the photo, who’s that pretty lady standing beside their friend etc. But never did they wonder HOW. 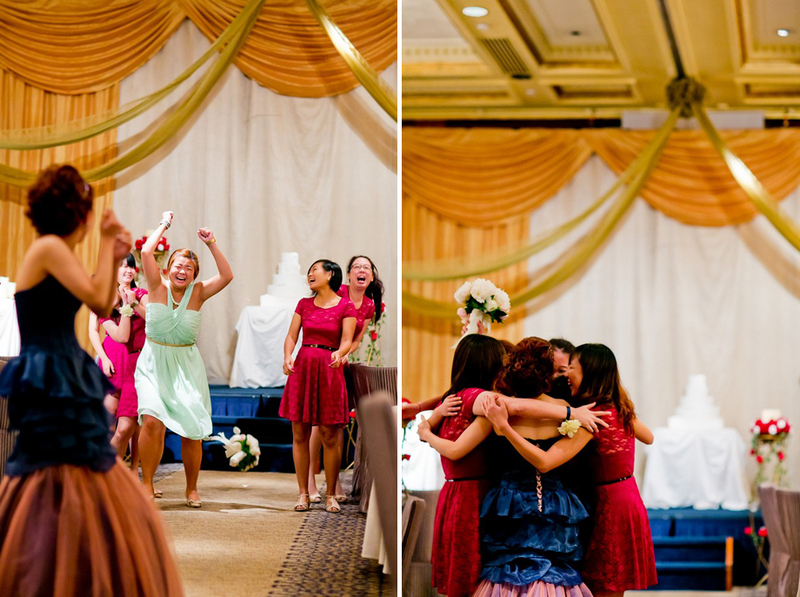 Couples love the photos, they like our color output & the candid moments we capture. The number of hours we toil to shoot under the rain or sun and spent editing. But if I never point out how Raymond works, I guess most of you guys will never realize or take note. Some couples are really thoughtful; they take good care of the photographer (even the crews/brothers/sisters), arranged for food and all and make sure everyone was well fed. Some even catered a seat for Raymond to sit down and eat. But I don’t understand why Raymond refused to eat on wedding shoots and work at the expense of his own health until he explained why. If he starts to eat, he might miss out on the candid happening. He’s the type of person who will make sure he grabs as much photo worthy candid shots as possible because he understands that it is not easy for people to come together. Some guests specially flew back to attend the wedding but out of the 300 over guests, we won’t be able to know who. Such an opportunity, will be wasted if he spends his time eating when he could have captured those shots for the couple who might only get to see their friends maybe few months or years later. If he was to eat, he will make sure during that period there’s absolutely nothing happening or no guests around. So hard on himself but I have to agree with him. Then it was time for the table to table shots. The brothers did a good job and helped us pre-arranged the next table so that we don’t have to waste time getting people around. When we got to the tables, Raymond just had to get them to move their butts a little, sit a little closer, maybe get one or two of the guests to stand behind instead of sitting and stuffs. He said it was necessary so that the photo will look nicely balanced. Otherwise it’ll look like one guest is unhappy with the other because of the gap in between, or it’ll look like 3 or 4 people were missing from that table etc. There was once where I attended a wedding as a guest and Raymond was shooting. I witnessed how some of the guests who were probably high and drunk on alcohol treated Raymond at the wedding. They were shouting ugly remarks at Raymond just because he took the extra effort to arrange them and fit them all into the one single shot instead of just snapping and leave it as that. Sometimes it’s just not worth going the extra mile, but Raymond insisted on doing that despite experiencing that sort of treatment. Anyway back to Kelly’s table shots, I also noticed that some folks doesn’t seemed to like the camera too much. No matter how you get them to just look at the camera, they simply refused. And a group photo of 10 over gloomy faces won’t look good at all. So Raymond took a few shots of the gloomy faces first and then took it upon himself to interact with the guests. He could have left it at that since he already got the shots. But instead, he went on to tell them things just to make them laugh to get happy faces. At that instant I felt as though he had taken on the role of a clown (although not THAT extreme or to that extend) – to entertain people and make them laugh, which was unnecessary. Couple only wanted table shots, but they did not say they wanted table shots of happy faces. But Raymond being Raymond, insisted on doing what he believe would be something he will regret if he hadn’t done that. He said what if the Bride is very close to her grandma, and her grandma never smile or laugh for photos and you manage to make her smile/laugh, and even better, photographed that moment? That photo is gonna be something so precious and mean a lot to the Bride. So, why not? I also asked him questions like why does he have to put so much stress on himself at a wedding when a wedding is supposed to be a happy celebration. He said before every wedding shoot, he will set a standard for himself – an expectation to be met, a certain achievement for himself. He had to push himself harder to do better than the previous shoot. He cannot let the couple down and cannot let himself down. If you ask me, a ring is a ring. You can put it in the ring box and shoot it as it is. Why take the extra effort of finding water, ice, fire and what not to shoot it? He said things like wedding gown, rings or shoes are details that makes up the wedding. They are things that most brides will take a long time to hunt for. The one wedding dress that the bride spent so much time shopping for and love it so much to decide it’s the one. Some rings are specially made and tells a story. Sometimes things that appears normal to us might actually mean a lot to the couple. Rather than to miss it or shoot it as it is, might as well put some effort and shoot it nicely. Even if it turns out that the couple actually didn’t really care about the gowns/heels/bouquet/rings and all, at least he can safely say he’s done his best and didn’t shortchange the couple. Mirhala on Raymond Phang Photography adds another crazy potato to the creative team! 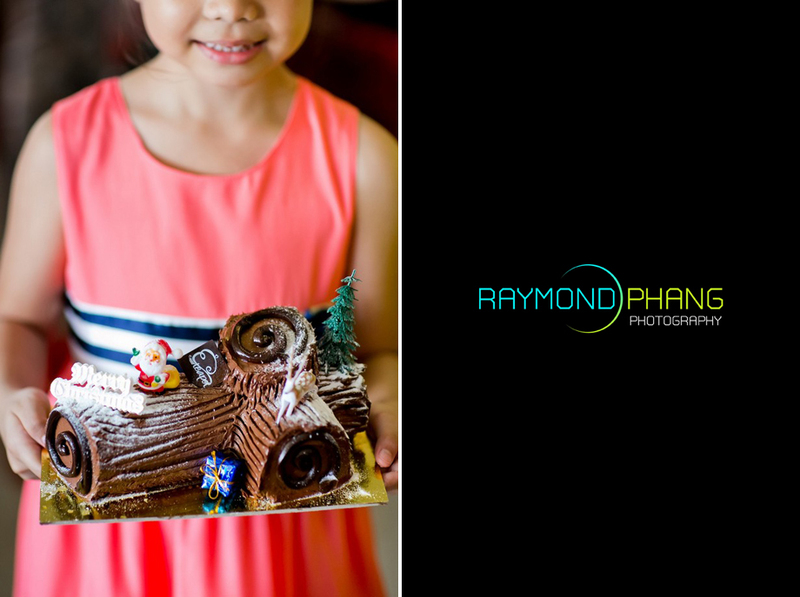 Raymond Phang on Raymond Phang Photography adds another crazy potato to the creative team!